Absolutely stunning Cape Cod home in Ladner! What a property! 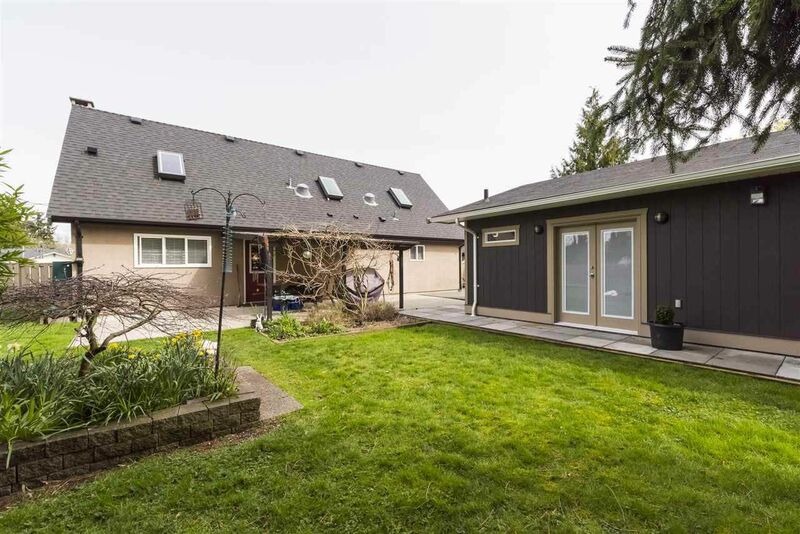 Located in one of Ladner's most desirable cul-de-sacs, Riley Place, on a 10,318 sq.ft., duplex-zoned, south-facing lot, this home has been extensively and professionally renovated by the current owner who is a commercial contractor. Updates include: flooring, paint, kitchen, bathrooms, velux skylights in master bedroom, new washer/dryer, newer concrete driveway and much more. A side suite with its own entrance is the perfect mortgage helper for those who need it. BONUS detached 24x30 workshop built to the highest standards features its own water + sewer lines, 100 amp panel, 220 power and a guest room with washroom. Too much to list for this fantastic home! Book your appointment today!